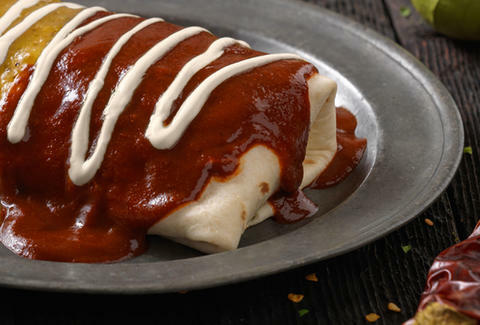 To celebrate the Smothered Burrito revolution (covering and filling ‘ritos with ridiculously tasty sauces like Bold Red Chile and Smoky Chipotle Cream) going down at Qdoba®, the Mexican food master got Vine stars to capture what life looks like in this, the post-Smothered Burrito world. Smoky Chipotle Cream: Jess Hansen keeps her smoky eyes on the burrito prize. Bold Red Chile: Jacob Carr leaps into bold action to make the magic happen. Tangy Verde: We don’t want to spoil Thomas’ Vine, but there’s a major kick to it, so you can’t tell us that you weren’t warned. Domenic provides a rebuttal! The argument over what it really feels like to #GetSmothered rages on.